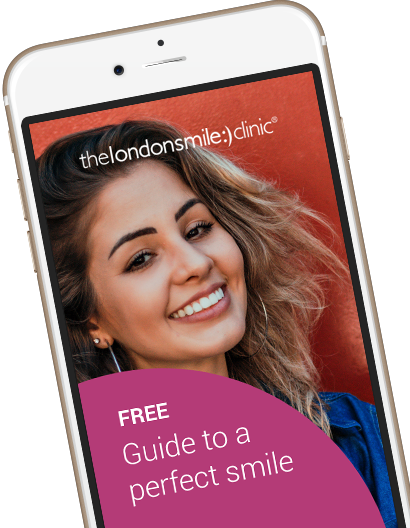 This patient came to The London Smile Clinic unhappy with the colour and shape of his teeth. He also had two missing upper lateral incisors (the teeth either side of his central teeth. 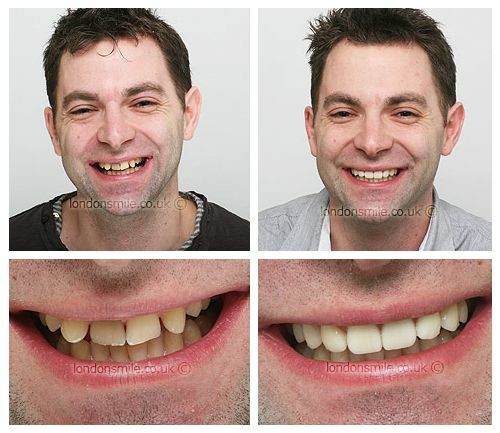 Eight porcelain veneers were placed on his upper teeth to make the canine teeth look like laterals, premolars like canines and to create a better aligned and whiter smile. Whitening of his lower teeth also gave him much more to smile about. I wanted to be able to smile and laugh without being self-conscious about my teeth. My treatment was very comfortable. My treatment easily matched my expectations, I am very happy with the result. My new smile has improved my self-confidence. I can now smile and laugh without feeling the need to keep my mouth closed. The team were very professional and friendly.